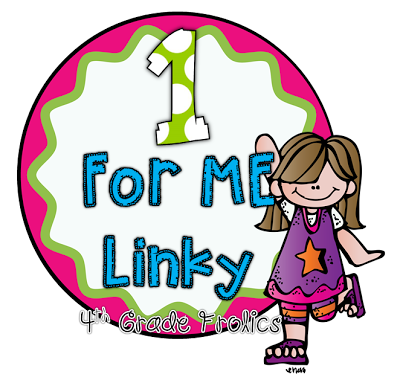 Pinkadots Elementary : One for ME linky! I am linking up with my friend Tara at 4th Grade Frolics. 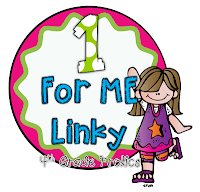 First off, if you haven't read her great post about this linky, head over here and check it out. I seriously can relate to her post on every level. Being a hard working teacher, dedicated mother to two little ones (three if you count my husband), and a meal cooking/house cleaning wife I NEVER do anything for myself. Seriously leaving the house without a child attached to my leg or one crying in the window as my car pulls out of the driveway is almost impossible. I need more me time, I need to feel better about myself, I need my confidence back, and I need to do it for ME. I say it every year, but maybe this year I will finally get to it. I bought a gym membership and love going to zumba, yoga, and spin class, but I just need to be more consistent. My body image is my worst feature. We are headed on a family vacation to DISNEY WORLD in August and I want to feel confident and happy in the pool with my family. My 1 for Me is this: Push ME up on my list this year:) That's it. If I do that, I know the stress will go down and the fun will go up:) Everything will fall into place :). It's so important that we take care of ourselves so we can take care of others.